The proposed law would would prohibit domestic violence offenders from possessing firearms. SALEM – State lawmakers say they plan to advance a bill that would prohibit abusers and stalkers from owning or possessing firearms. The legislation also would require Oregon State Police to notify other law enforcement when they learn someone has tried to obtain a gun illegally. Gov. Kate Brown identified the law change as one of her priorities almost two years ago, and she was first to speak in favor of it during a hearing in front of the House Judiciary Committee Wednesday, Feb. 7. She recounted how a year ago, she had visited Oregon State Trooper Nic Cederberg in the hospital after he was shot a dozen times while responding to a domestic violence call on Christmas night in in Washington County. 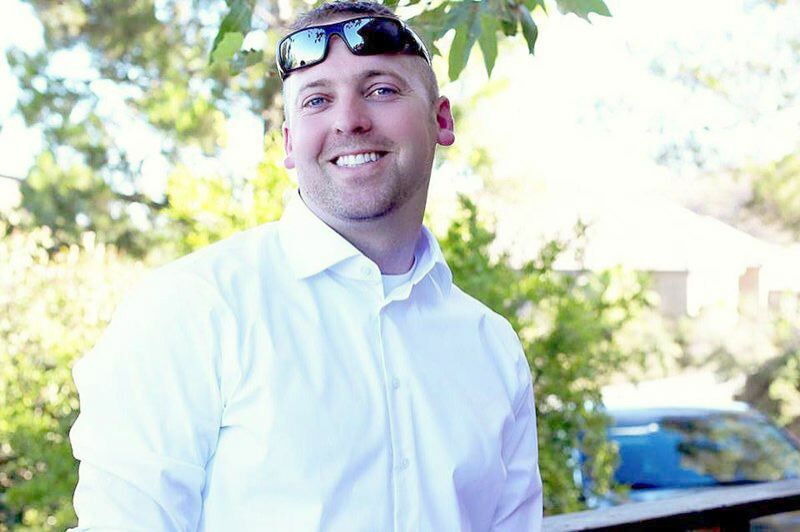 Cederberg, who worked out of Oregon State Police's North Plains office, assisted in a pursuit from King City to Sherwood after 24-year-old Kate Armand was shot and killed by her estranged husband. When Cederberg arrived on the scene, Armand's husband shot the trooper a 12 times in less than one minute. "I made a promise (to Cederberg) that I would continue to do everything I can to keep victims and law enforcement officers safe from this kind of senseless violence," Brown said. She said her resolve gained urgency when she learned that in the month after Armand was killed, another 16 Oregonians lost their lives in domestic violence-related incidents, according to a Jan. 18 report by the Oregon Domestic Violence Fatality Review Team. House Bill 4145 would expand prohibitions on domestic abusers having guns to include dating partners and stalkers. Existing law applies to only spouses, former spouses and couples who are cohabitating. "Family definitions have changed since I began my career," said Rep. Carla Piluso, a Gresham Democrat and former Gresham police chief. "It is important the definitions in Oregon's law that protects family members from abuse in the home are updated to protect today's families." The National Rifle Association opposes the law change, said Keely Hopkins, the Oregon liaison for the NRA. The bill fails to adequately define the relationships that would be subject to the prohibition on possession of weapons and gives no limit for how far back that relationship occurred, Hopkins said. When a firearm is within reach of an abuser, the risk of homicide is extreme, Piluso said. Statistics bear that out. Out of the nearly 1,700 women killed by men nationwide in 2015, 93 percent were killed by a man they knew. A majority of the women were killed with firearms during the course of an argument, according to a study by the nonprofit Violence Policy Center. The bill also would require OSP to notify local law enforcement within 24 hours when an offender tries to transfer or purchase a firearm illegally - a protocol referred to as an "active alert." 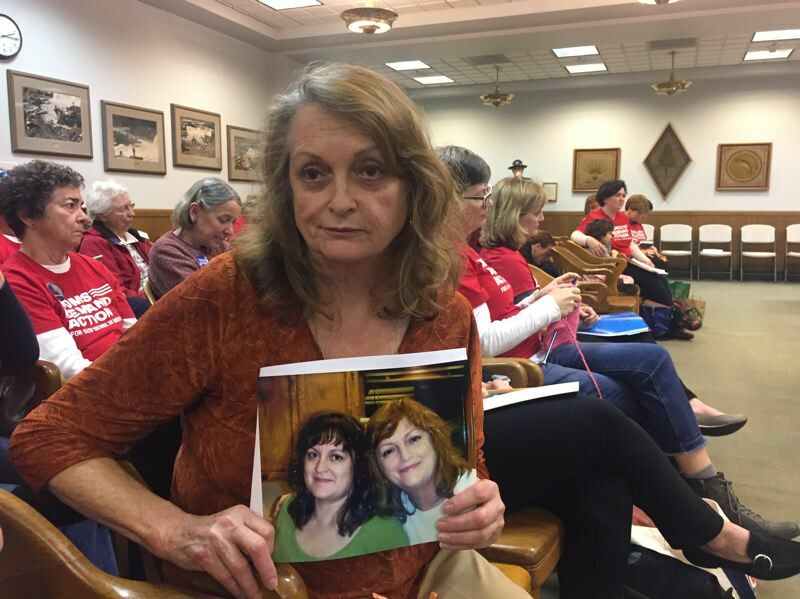 Such an information-sharing might have made a difference for domestic abuse survivors who later lost their lives to gun violence by their abusers, said Salem resident Madeleine Garcelon, the mother of a Portland woman killed by her ex-husband. Garcelon testified in favor of the bill Wednesday. Nicolette Elias, 46, was killed in Southwest Portland by her ex-husband despite a restraining order and a prohibition against him having a gun. Somehow, he obtained a firearm illegally and used it to end Nicolette's life and kill himself. "I am using my voice to honor Nicolette to help protect other women and children who are at risk of suffering a tragedy like my daughter and granddaughters," Garcelon said.